Welcome to the 2017-2018 School Year! I am so excited for this school year. Your child is going to learn so much while growing the life skills of communicating, collaborating, critically thinking, and creative thinking. They will grow as a person as they learn about a growth mindset, respect, empathy, integrity, and compassion. 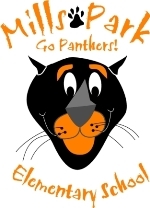 Click below to visit MPES's website. Ask Mrs. Reichel for your Lexile Level. E-mail Mrs. Reichel with any questions.